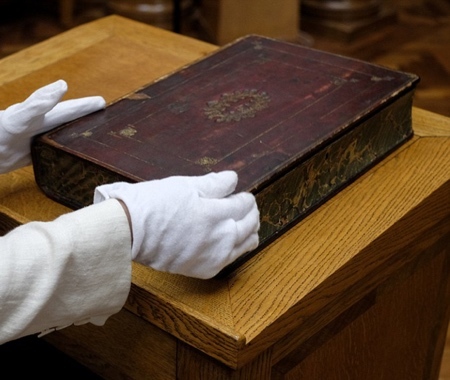 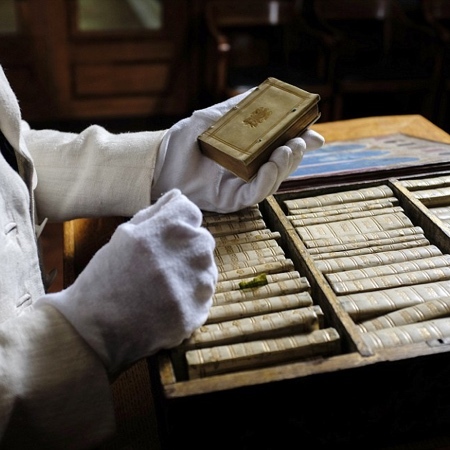 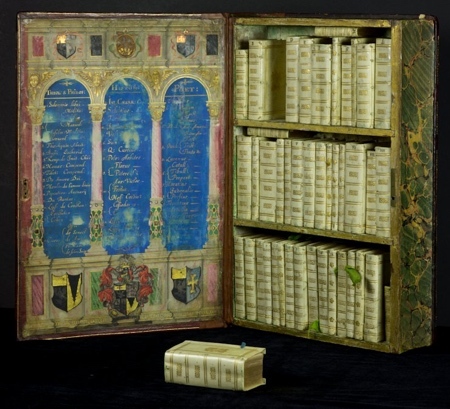 Jacobean traveling library from 17th-century looks like a large wooden book filled with smaller miniature books. 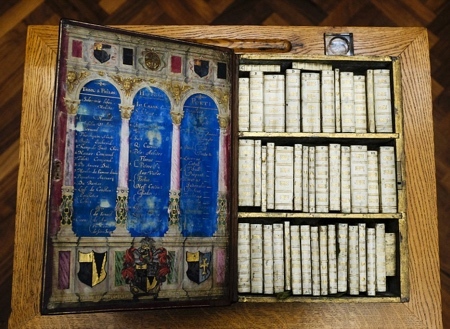 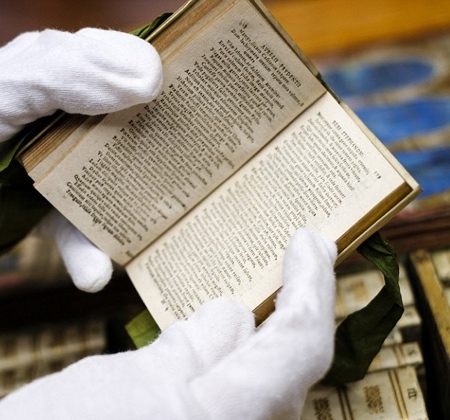 Miniature library displayed at the University of Leeds. 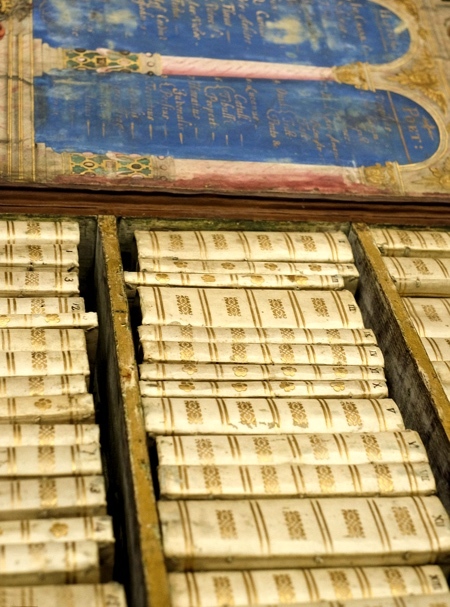 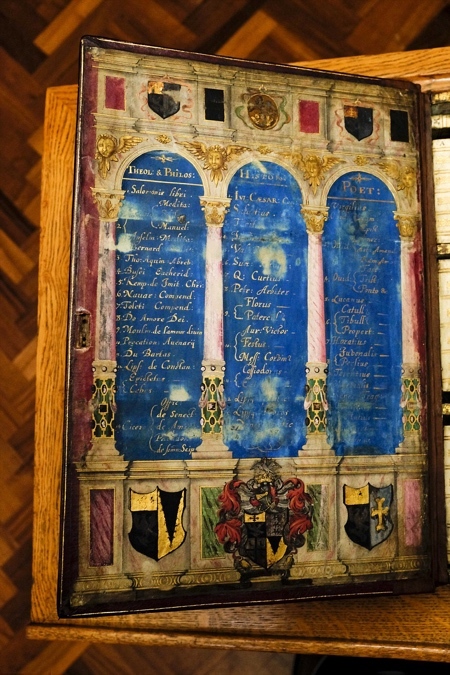 Jacobean traveling library was most commissioned by William Hakewell in 1617.